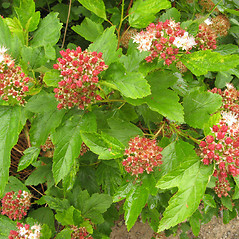 Atlantic ninebark is a graceful shrub with arching branches that grows from 2 to 8 feet (2.5 m) tall. 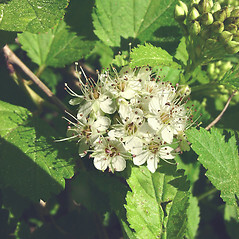 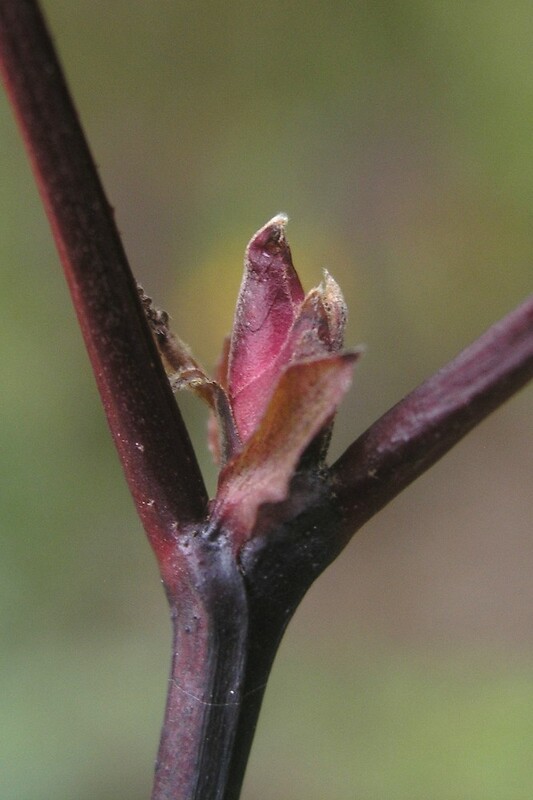 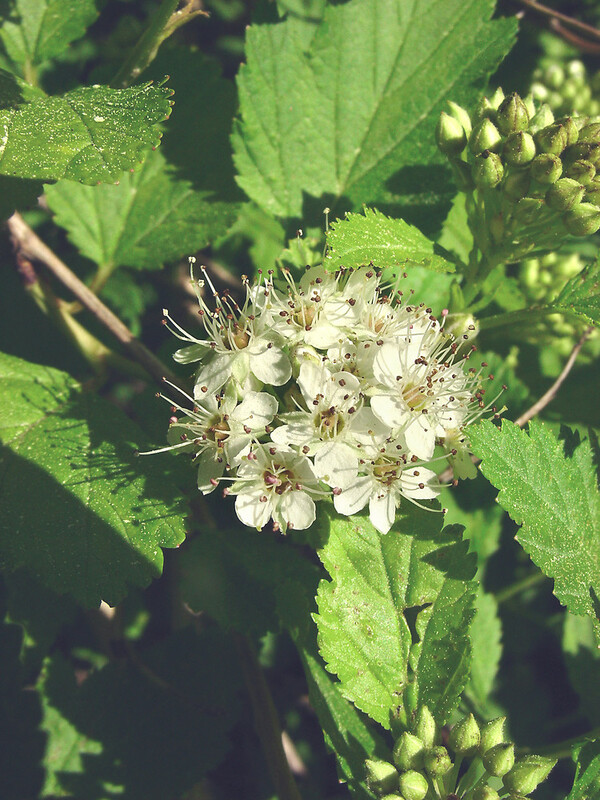 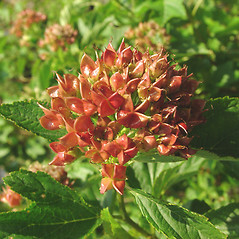 A member of the rose family closely related to steeplebush (Spiraea spp. 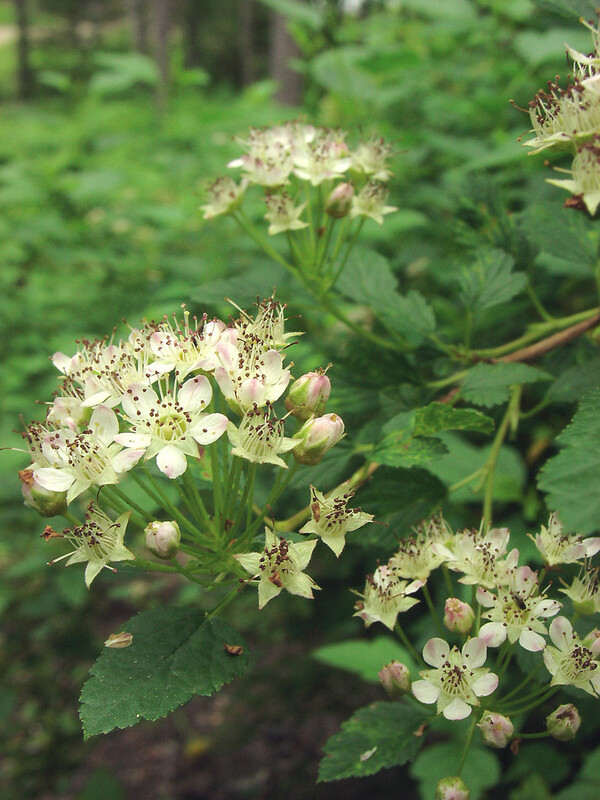 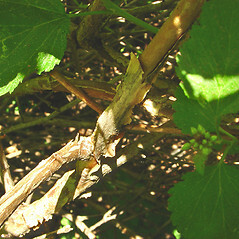 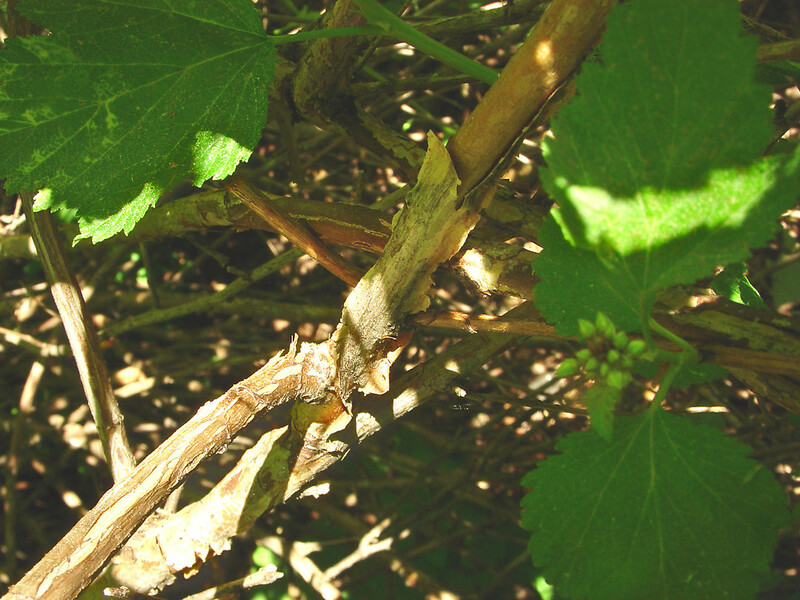 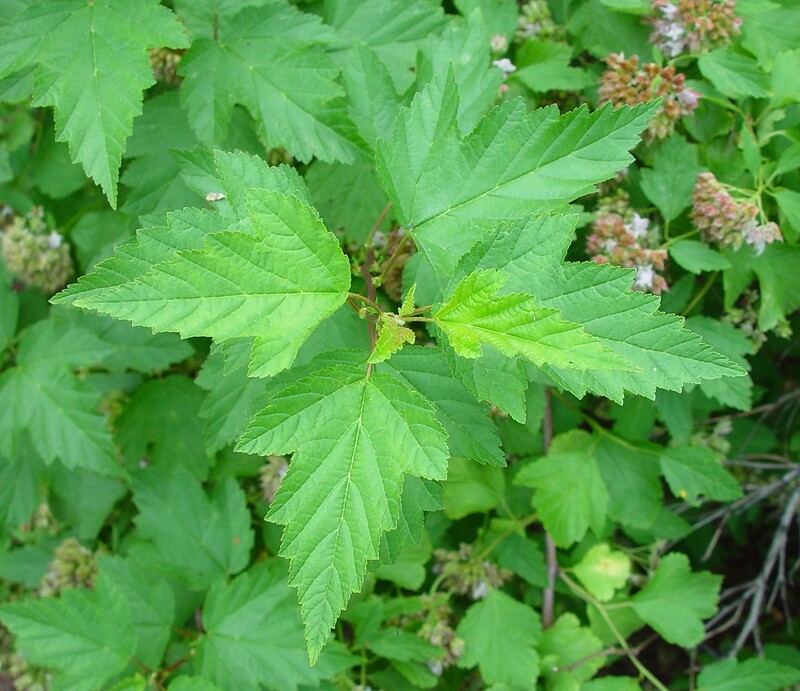 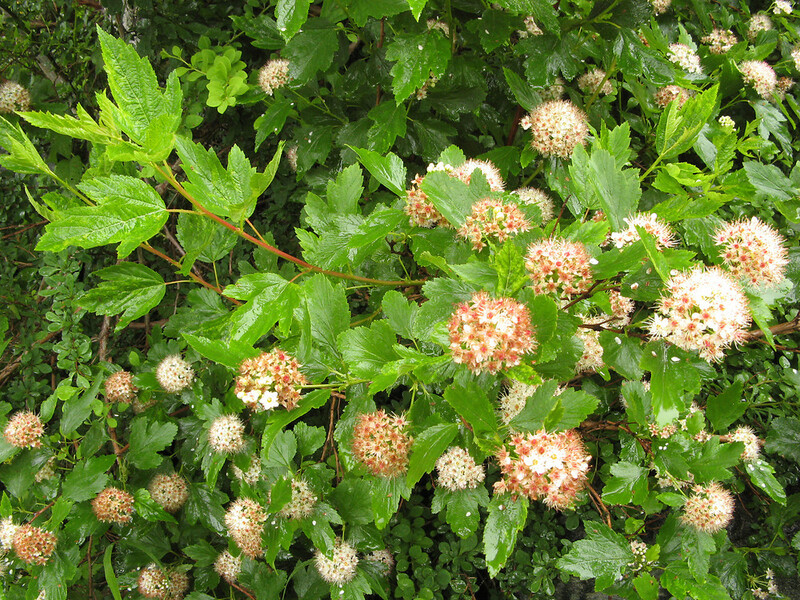 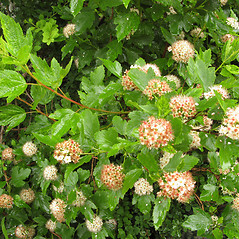 ), it produces masses (corymbs) of delicate, pinkish-white flowers in May and June. 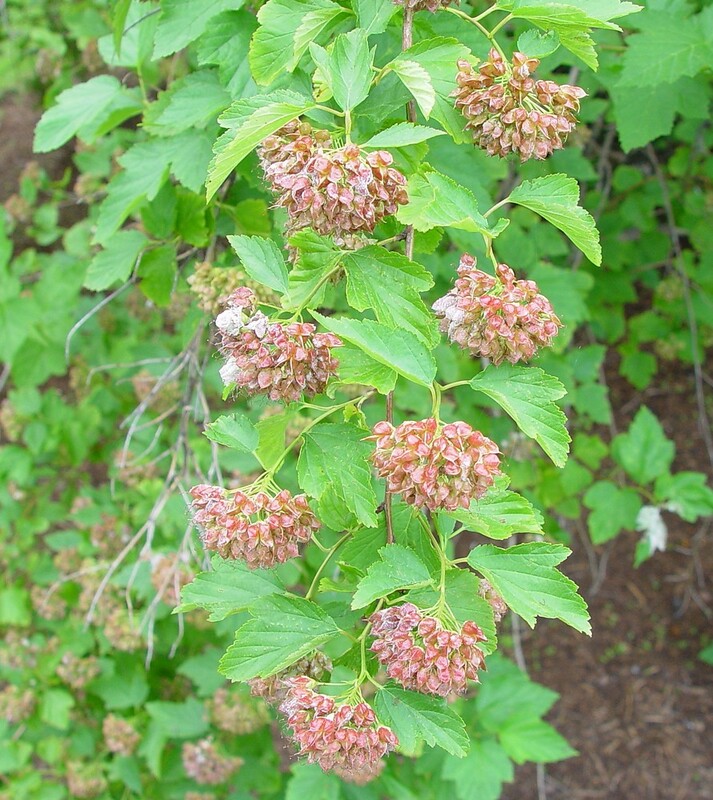 Its peeling, brown bark gives it its common name and also much visual interest during the winter. 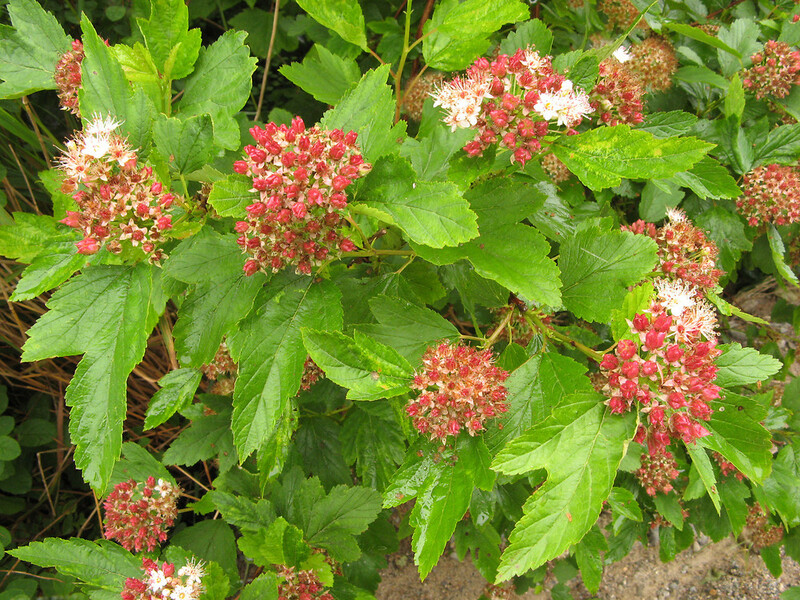 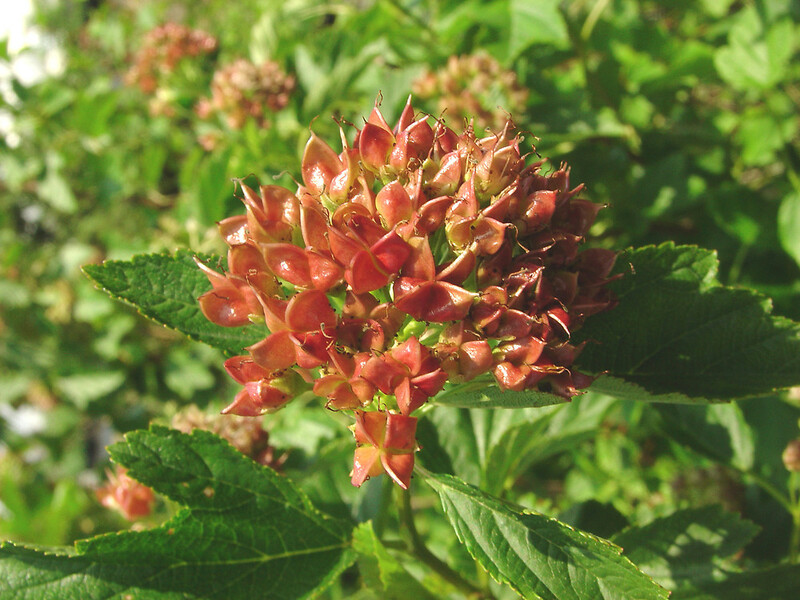 This tough shrub can tolerate a variety of clayey to droughty soils. 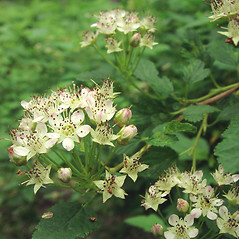 Atlantic ninebark. 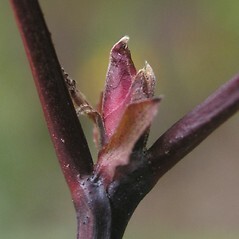 Opulaster alabamensis Rydb. 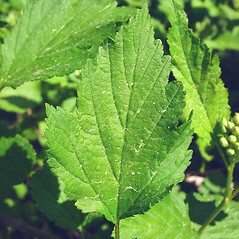 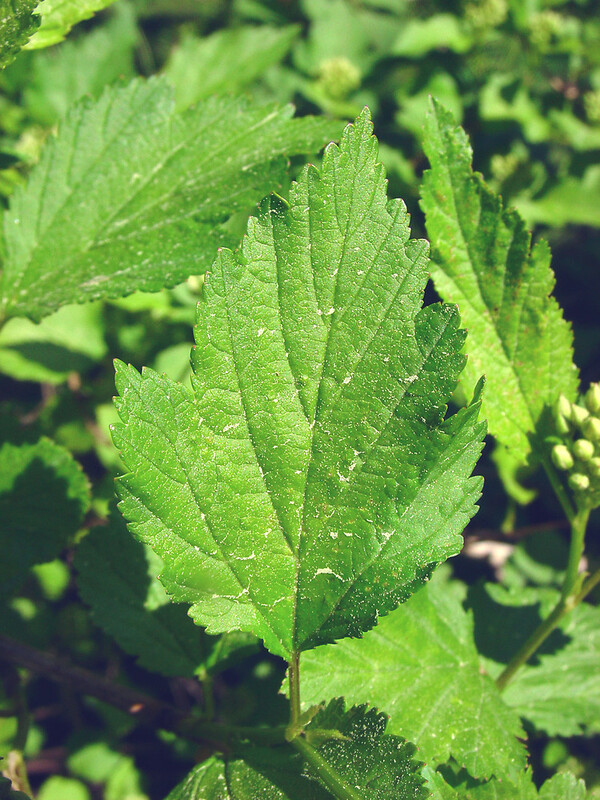 ; O. opulifolius (L.) Kuntze; Spiraea opulifolia L. • CT, MA, ME, NH, RI, VT. Forest fragments, fields, river banks and shores, areas of habitation. 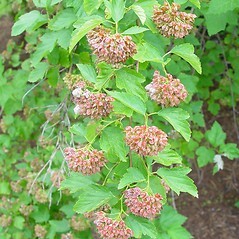 Native, in part, to VT (and possibly CT) and introduced in other states. 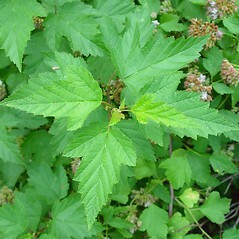 Native populations are usually associated with river banks and shores.